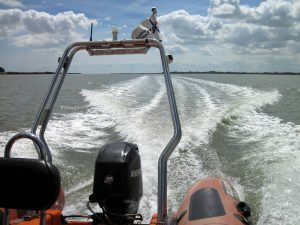 Brightlingsea Boating Academy`s facilities are within the Boat Park and Ride compound. 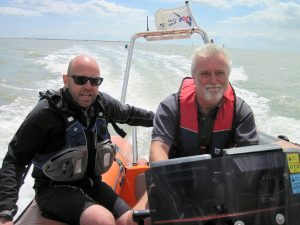 We are a RYA recognised training centre to run Powerboat and safety boat courses. We use modern Suzuki powered ribs. 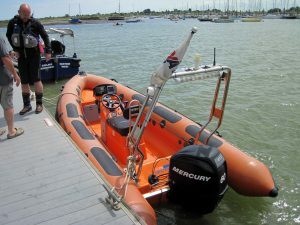 RYA powerboat level 2 is the minium recognised standard. This course is run during week days and weekends throughout the year, and can be organised with only a few days notice. Maximum pupils on a course are three students per boat. The courses start at 9.00 am on day one and are finished by 17.00 pm that day and the same again on day two. Food and accommodation is not included but if you look at our links page there is a list of local B+B’s and restaurants. Procurement of this certificate enables you to obtain the ”International Certificate of Competence ” by applying directly to the RYA again this can be done through this website as well as purchacing any RYA books that would help you with info regarding your training. The Aim of Powerboat level 2 is to teach boat handling and seamanship in powerboats. The majority of the course is practical and afloat, but there will be several hours of theory work ashore. The remainder of the theory work will be done through the course while afloat. Areas Covered:- Launching and recovery,(local bylaws, trailers, preparations and problems that might arise). Slow manoveuvres, boat handling underway, coming along side, securing to a buoy, in various conditions / circumstances, anchoring, dealing with a disabled craft – towing, boat position, trim, loadings etc. 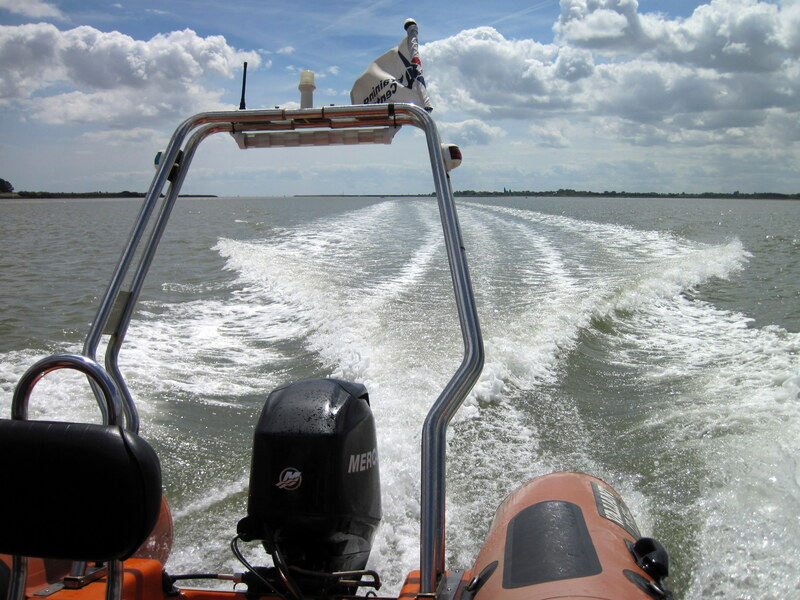 High – speed manoeuvres, Planing, steering controls, S turns, U turns, power trim, Man overboard. During the course we will be looking at different craft, engines and drive systems, safety equipment and potential emergencies. Finally in the class room we cover the buoyage system, basic chartwork, the understanding of tides and the tidal streams. You will be required to wear a life jacket at all times while afloat. Sun block and drinking water is recommended while afloat. An up to date passport size photo is required for the certificate when the course is passed. For bookings dates and more information please telphone 01206 304747. Course costs, for one to one tuition £350. Two pupils on the course £215 each. Three persons on the course £195 each. Get a certificate and enable yourself a cheaper insurance quote. (Many harbours wont let you launch if you have no insurance). We now are pleased to announce that we have a new Valiant rib within the fleet of training craft. This boat is bigger than the boats we have been using, giving more room and comfort when afloat.